A quick overview of some of the key Affino Implementations across the spectrum of business models. From pure-play ecommerce to full-service vertical professional members portals - which provide everything their members might require. 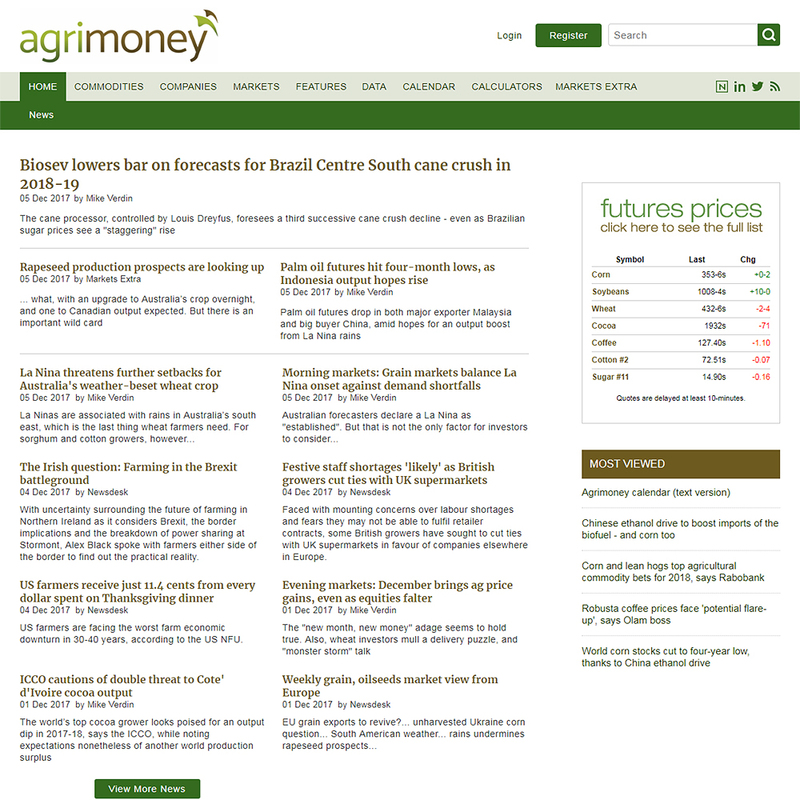 Agrimoney is a financial and investment resource which covers Agricultural Commodities, Companies, Markets and related Business News and Opinion. 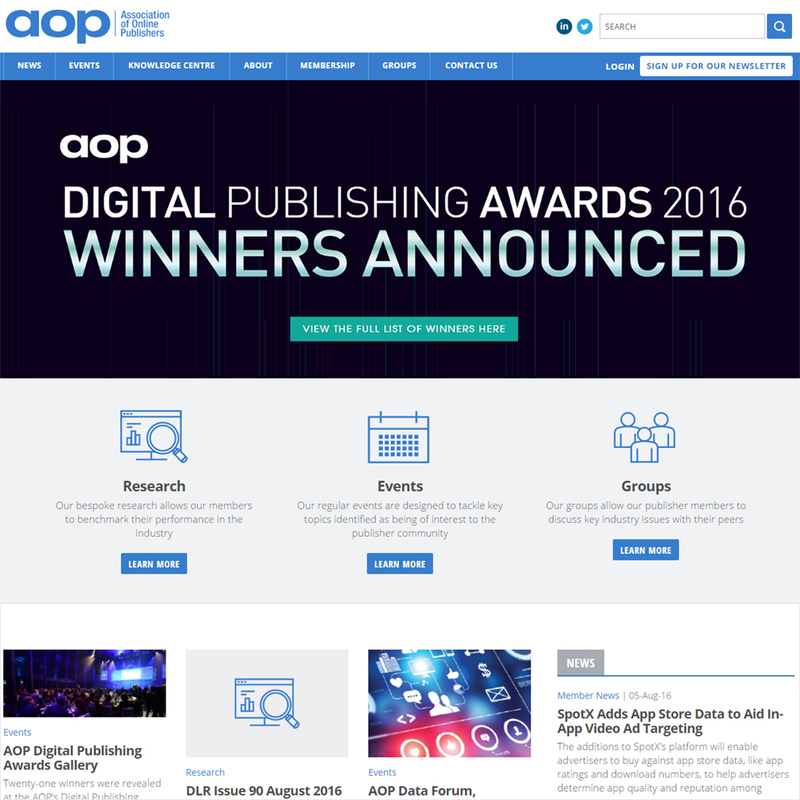 The Association of Online Publishers is a Member Service Organisation based around a series of key annual events and essential industry intelligence - Research, Articles and Interviews, White Papers and Case Studies. 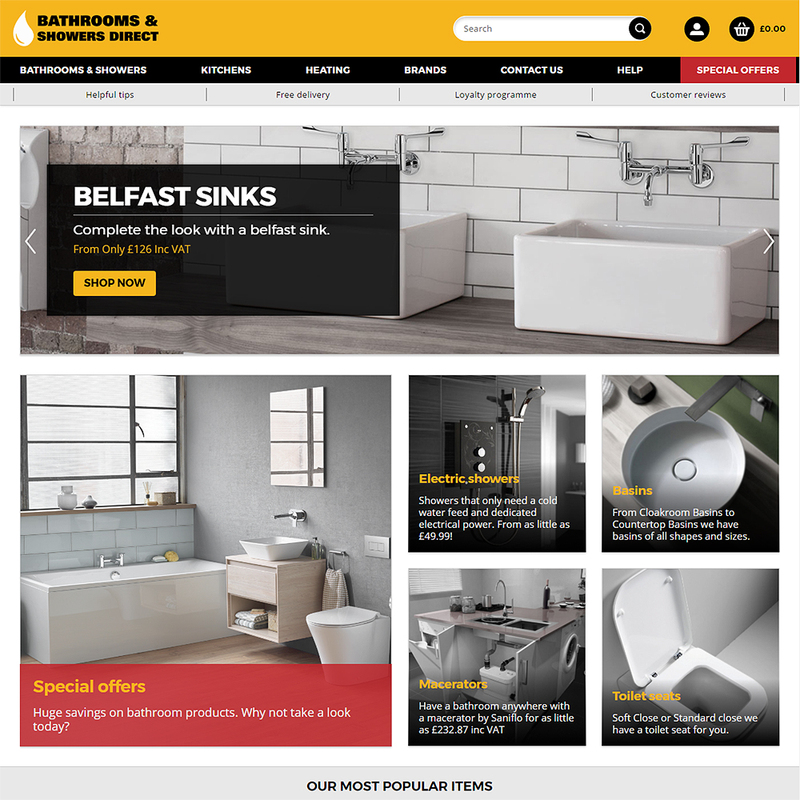 Full featured Ecommerce site for Bathroom fittings specialist - includes smart Product Search and motivational points loyalty programme - Bathrooms and Showers Direct. 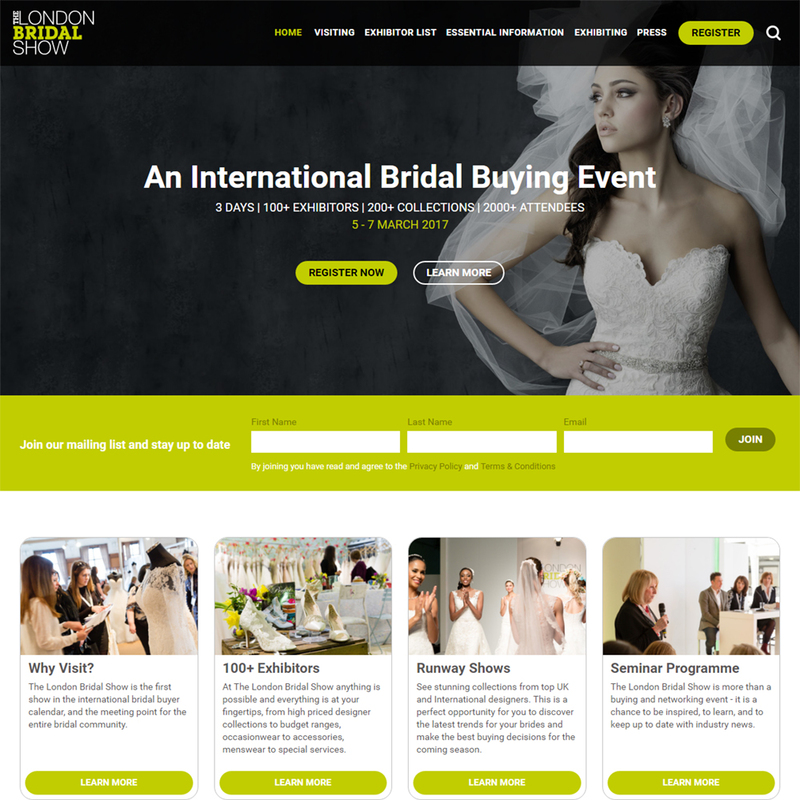 The most recent of Ocean Media Group’s Bridal sites is focused around a substantial Retail Directory, with of course the usual supporting Events. News, Insights and Subscriptions, yet very much a full-featured commercial experience for retail professionals in the Bridalwear sector. 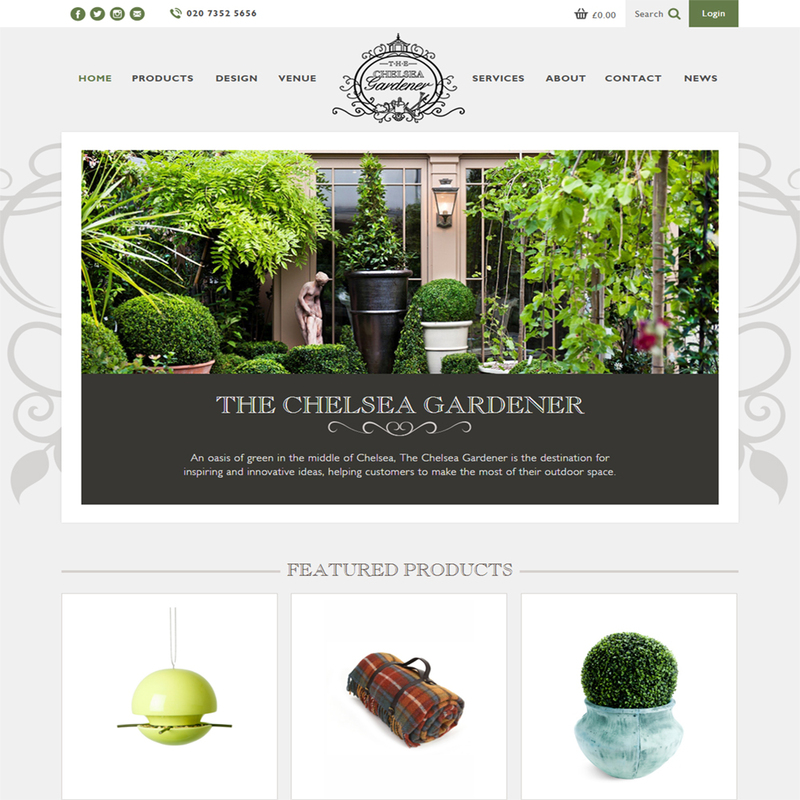 A largely pure-play Ecommerce solution powering Chelsea’s best loved Garden Centre. This serves very much as an extended window into the ground operations of Chelsea Gardener. Customers can familiarise themselves with the environment, and avoid the difficulty of carrying home heavy items. 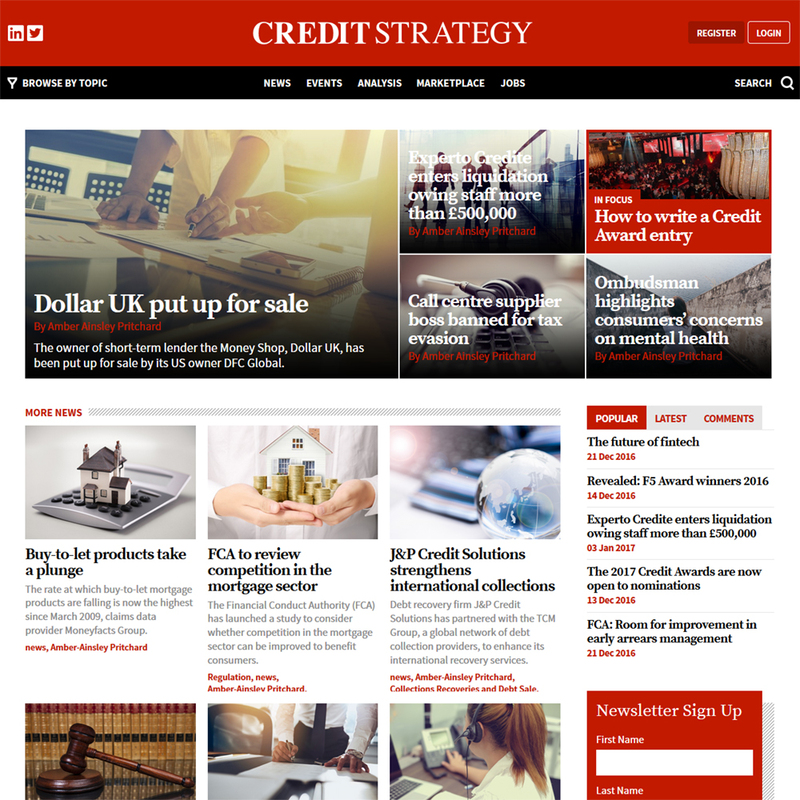 Credit Strategy is the flagship publication for Shard Media Group. It has a very broad remit in covering financial services news, features and analysis. It is shaping up to be the leading professional network in the sector, offering all the key services financial professional might need or want. 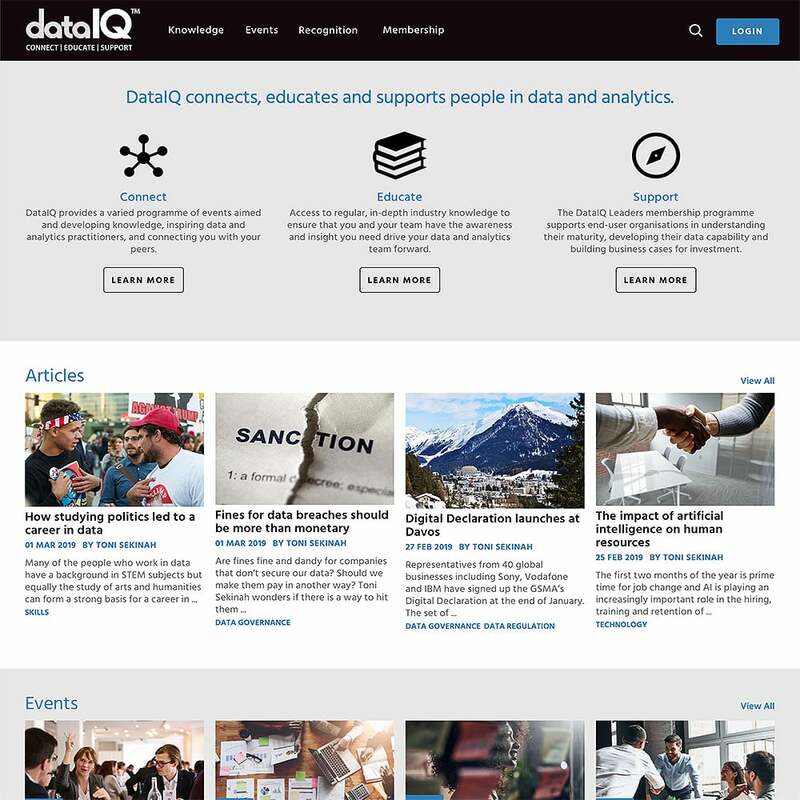 DataIQ provides a varied programme of events aimed at developing knowledge, inspiring data and analytics practitioners, and connecting peers for further collaboration and education. The complete Supply Chain Resource for Professionals in the Maritime and Shipping Sector. 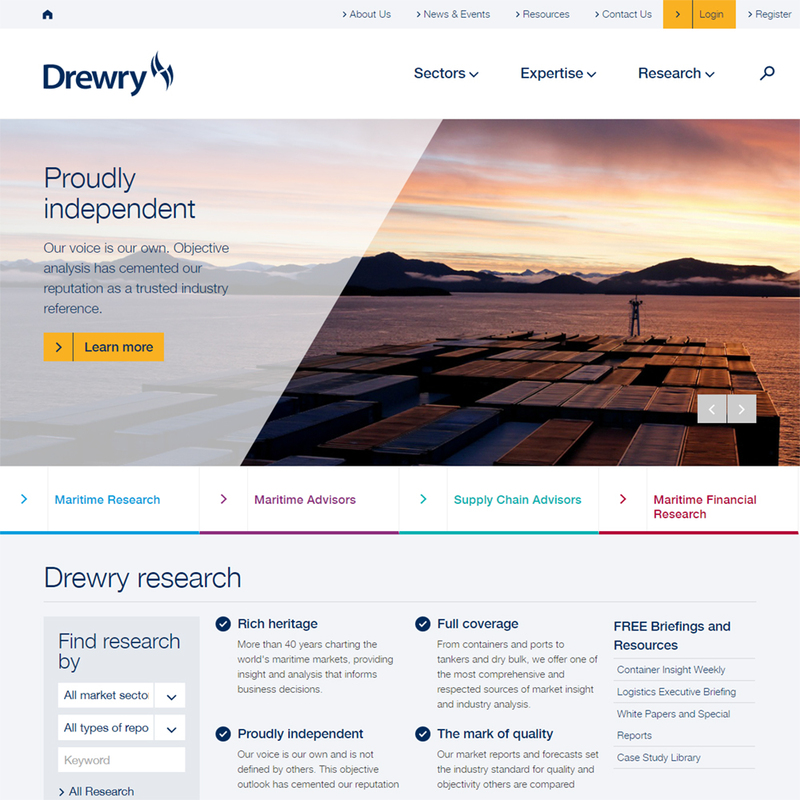 Drewry provides on-demand Intelligence and Consultancy via Research, Reports, Whitepapers and key Industry Insights. Maritime Professionals can subscribe to a broad range of services or access key resources individually. The Digital Arm of the oldest agricultural newspaper in the UK - Farmers Guardian. 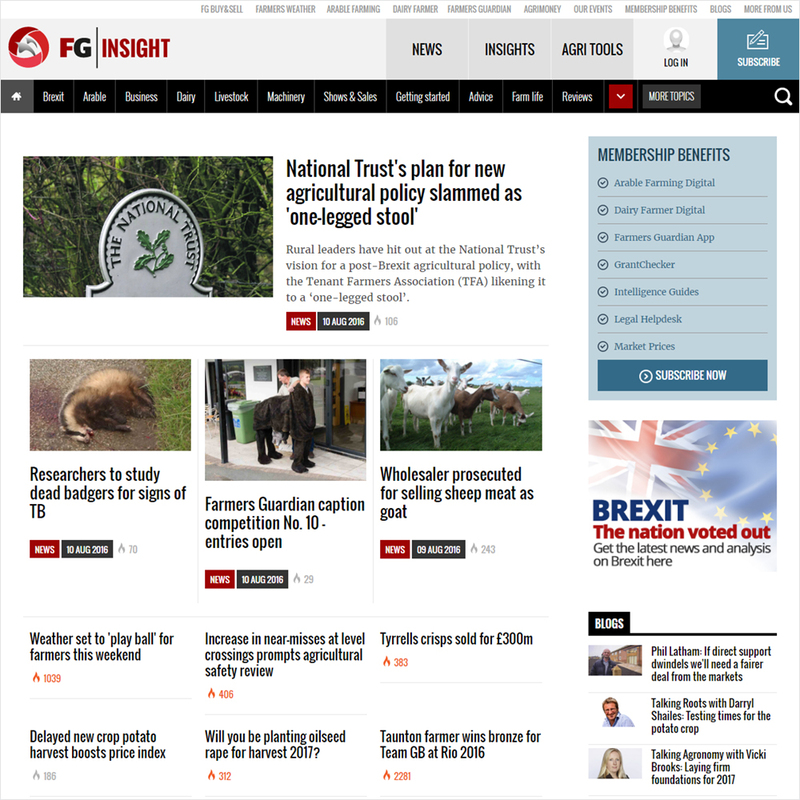 FG Insight provides the modern farmer with all the News, Views, Insights and Tools they need to get the most our of their chosen discipline. FG Insight mirrors the increasingly technical and technological nature of contemporary farming. 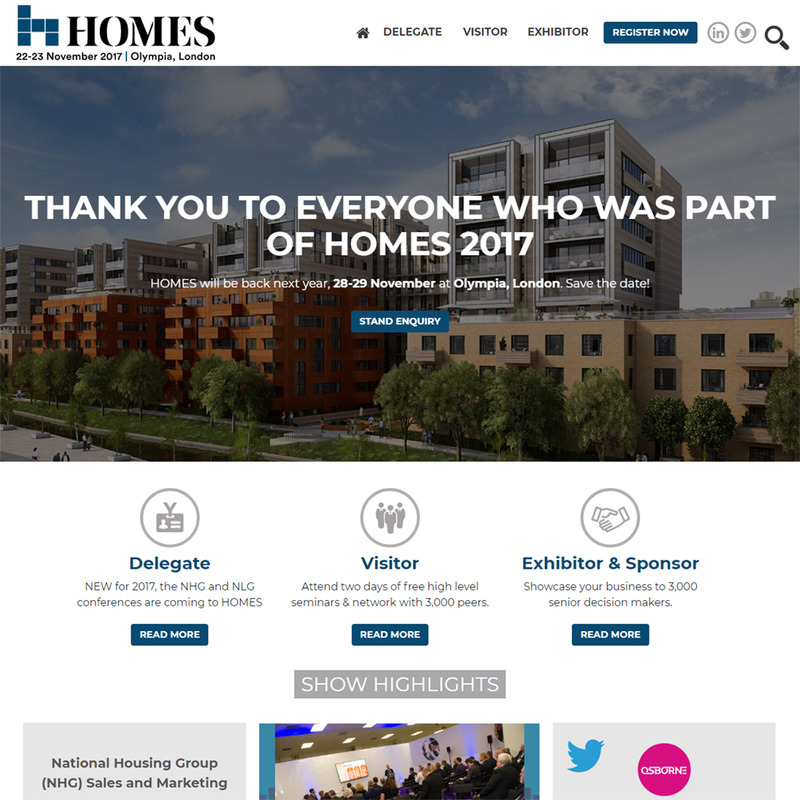 The annual Homes Event is the leading gathering of Housing Groups and Associations in both Public and Private / Local Authority Sectors, Sale and Leasing. 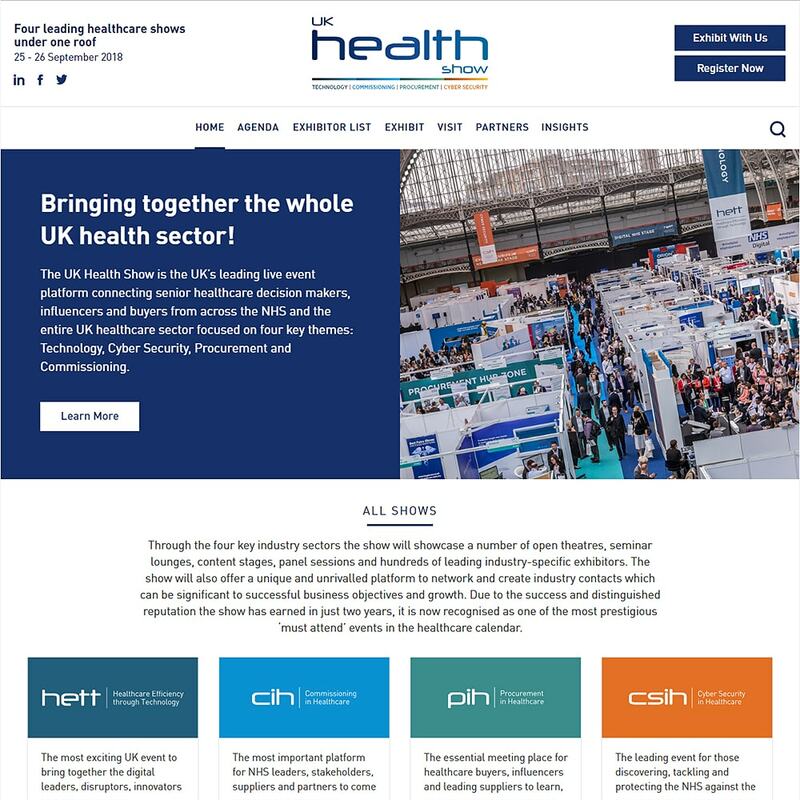 The Event features a number of key seminars and discussion panels and 100+ exhibitors. 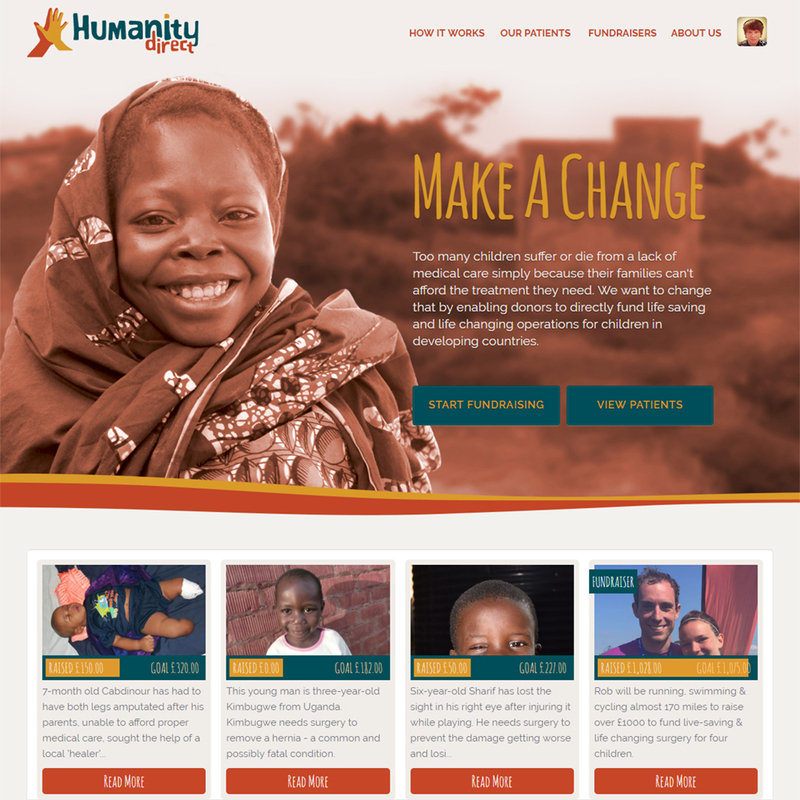 Affino’s chosen charity runs on the highly efficient Affino funding element which underlines the incredibly ethical and honest nature of Humanity Direct’s work. Every penny donated goes directly into paying for medical operations for the sponsored patients - 100% input for 100% results. The Freight and Cargo division for Iceland’s national flight carrier. 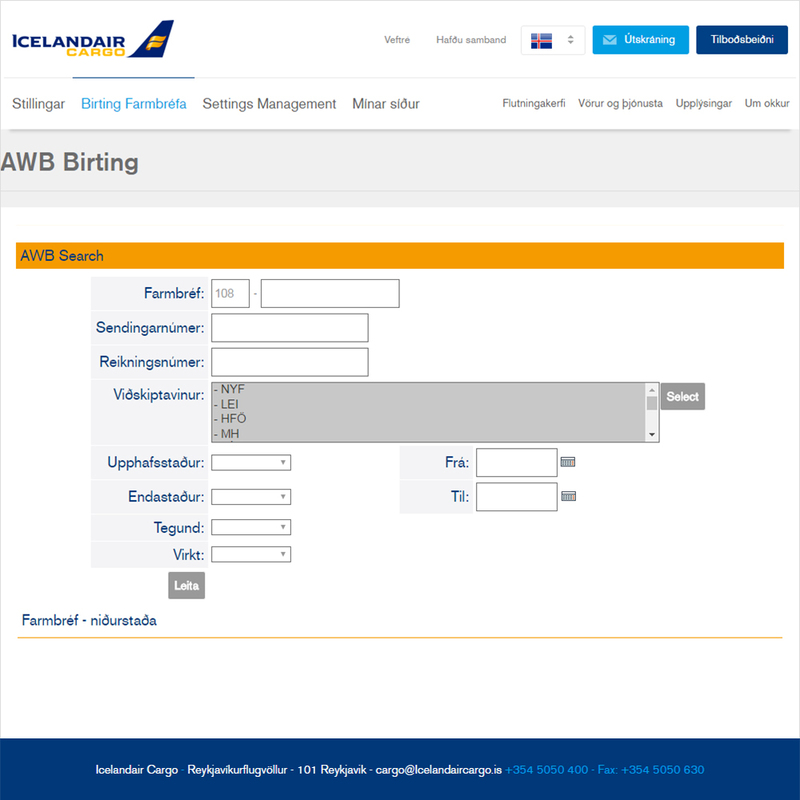 Icelandair Cargo utilises Affino here as a services portal, largely used on an Intranet basis for managing and maintaining core tracking and goods handling services. 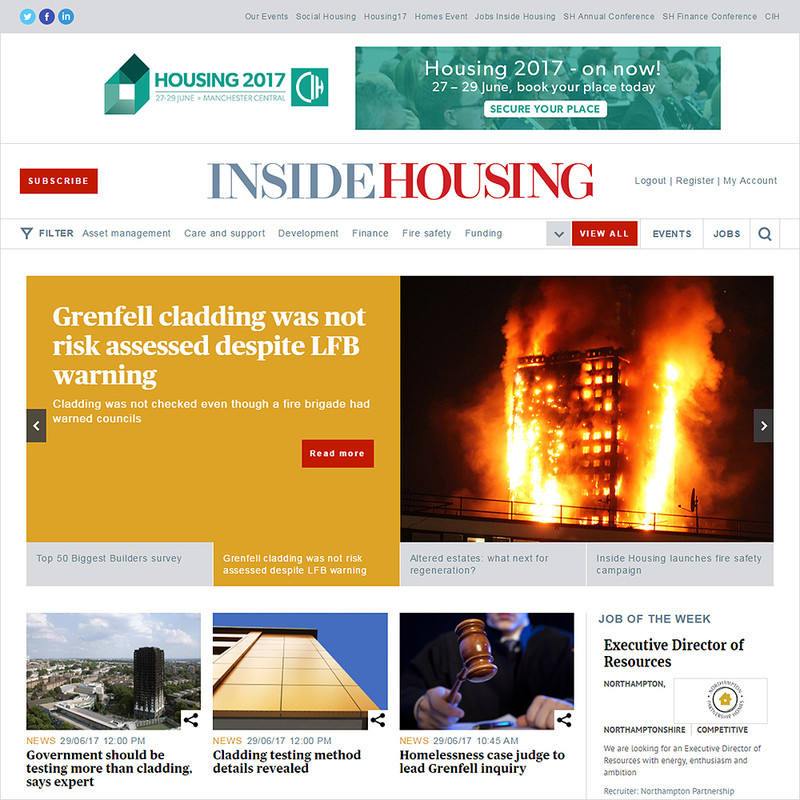 Inside Housing is the leading weekly magazine for housing professionals in the UK and the first choice for anyone looking for a job in housing. It combines Features, Events and Jobs on subjects like Asset Management, Care and Support, Development, Finance, Fire Safety and Funding. 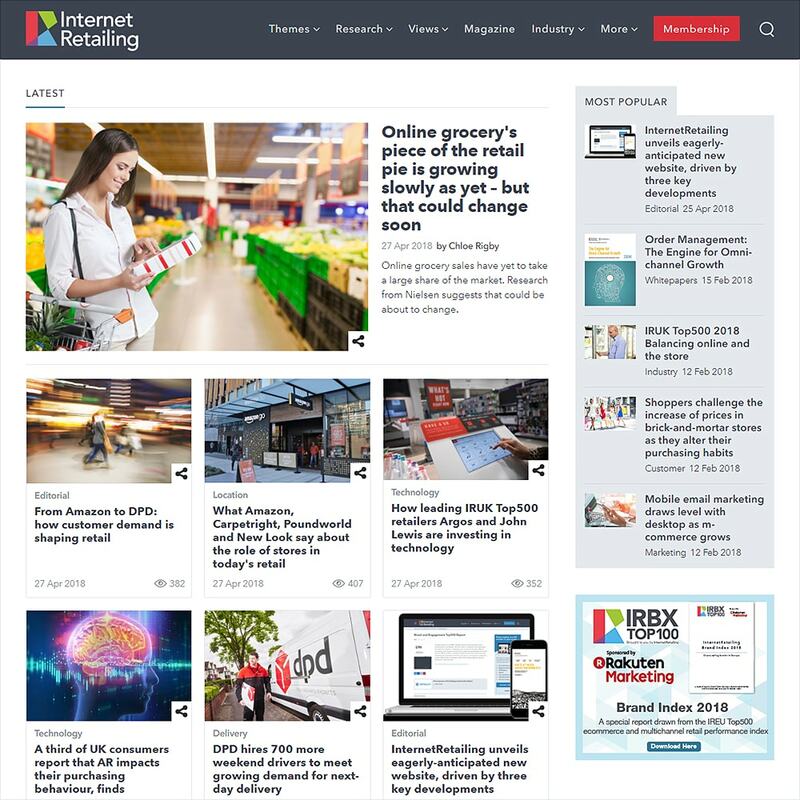 InternetRetailing combines all the key resources a multichannel retail and ecommerce professional might need to support their career - a broad mix of tools, analysis and business intelligence. 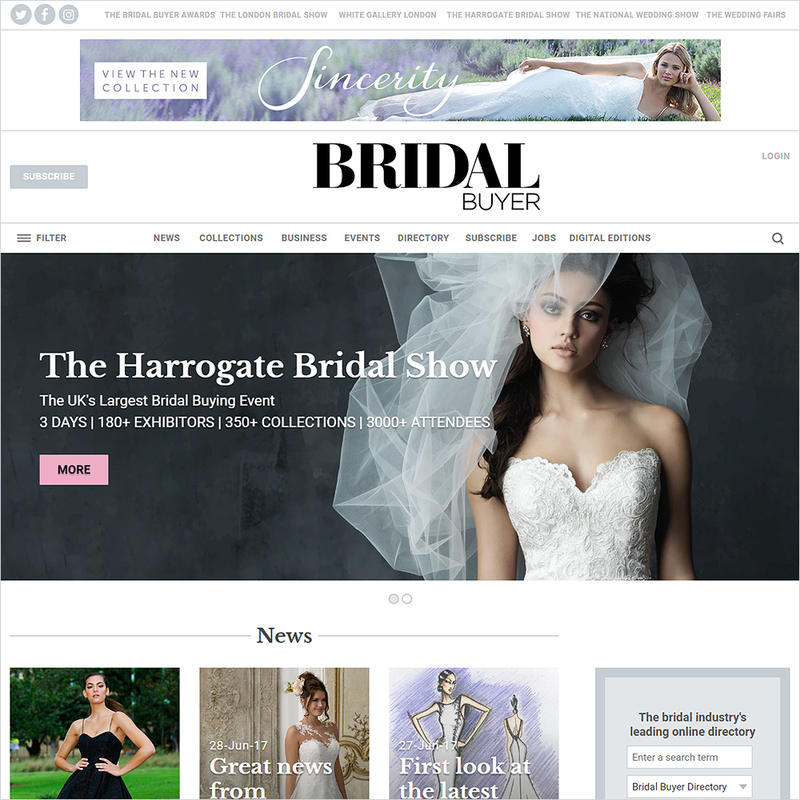 One of 3 Bridal / Wedding Event Themed sites Ocean Media Group are running on Affino, alongside The Harrogate Bridal Show and White Gallery. These first phase iterations will evolve significantly with the new Affino Responsive Events functionality continuously being innovated. Later phases will see all key Events resources driven through Affino. 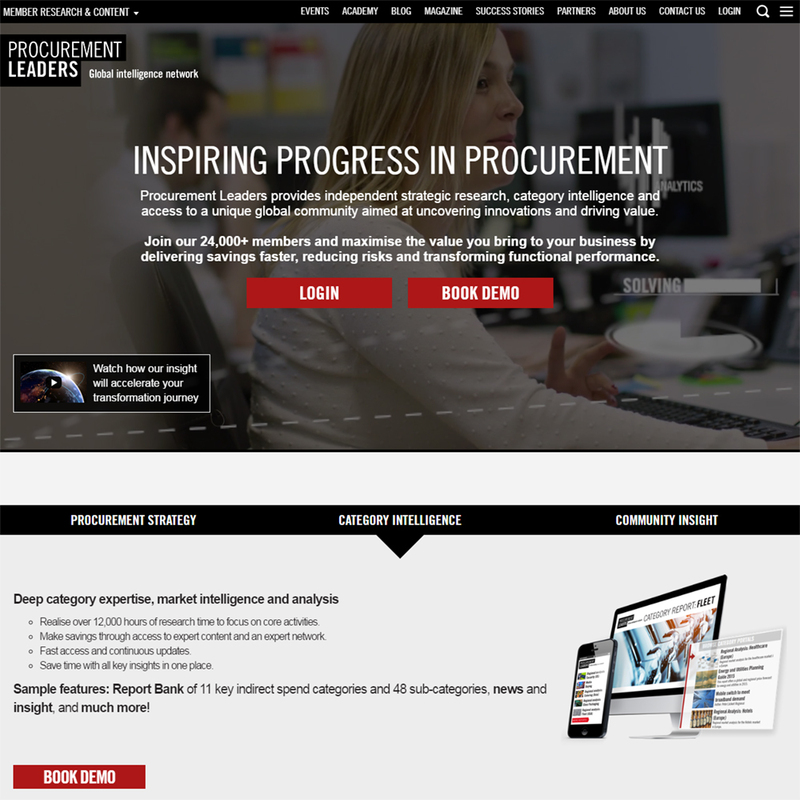 Leading Global Executive Network and Resource Centre for Chief Procurement Officers. Procurement Leaders combines the best of Publishing with Affino’s professional social networking - featuring Monetised Events, Knowledge Groups, Reports and Insights and Collaboration - all targeted on a personal level. 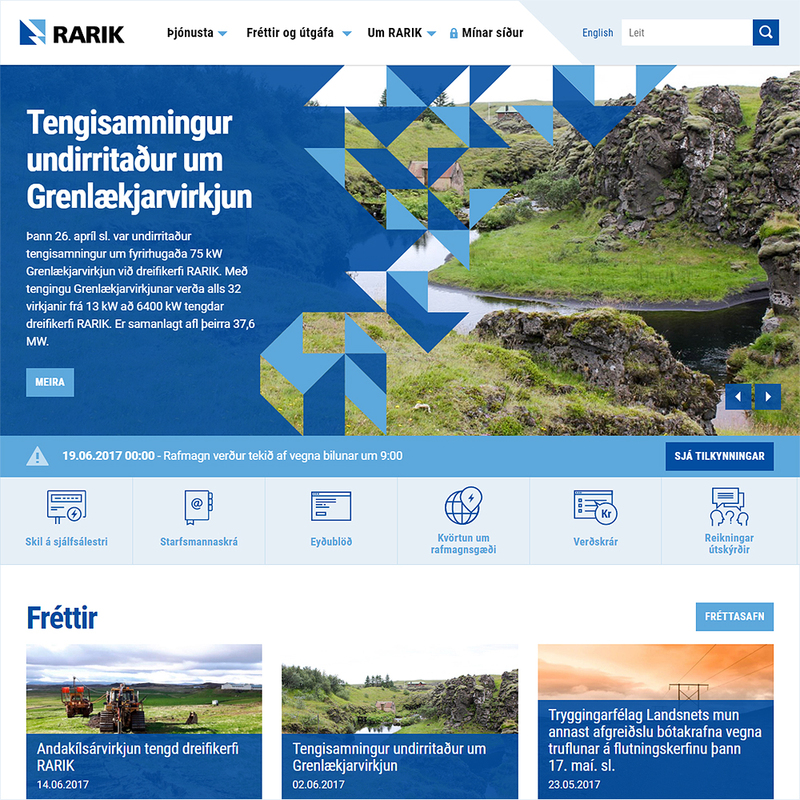 The RARIK Portal provides essential customer services including connection services, metering service and mapping and status alerts. The portal contains various news, features and help guides on how customers can get the best and most efficient use of their electricity. An Events-led resource for everything to do with modern connected cities infrastructure. 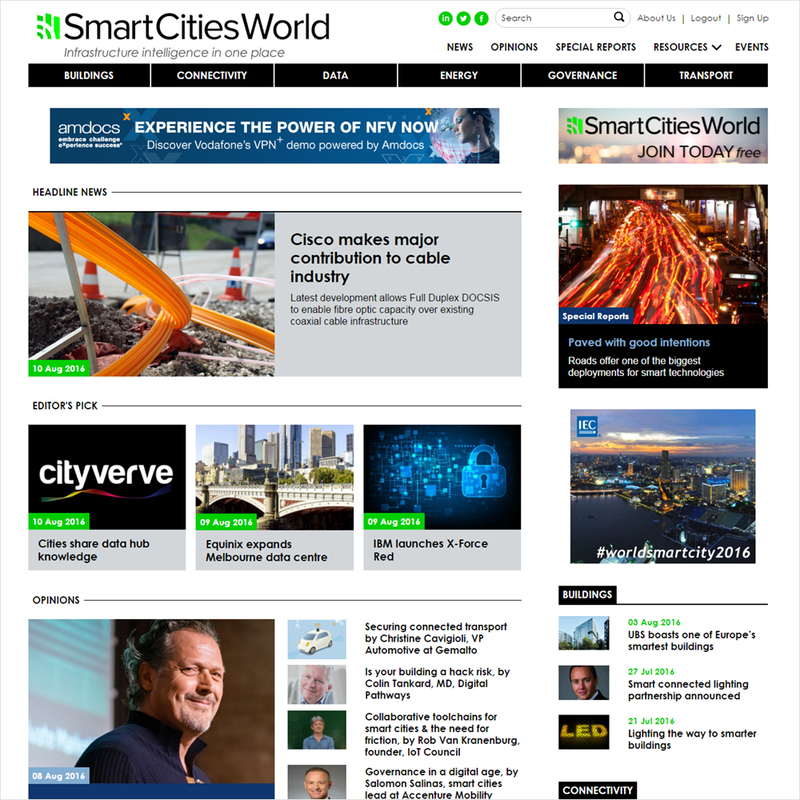 Smart Cities World combines News, Opinions, Special Reports, White Papers and Case Studies to bring together an incredibly broad range of disciplines under a single streamlined focus. 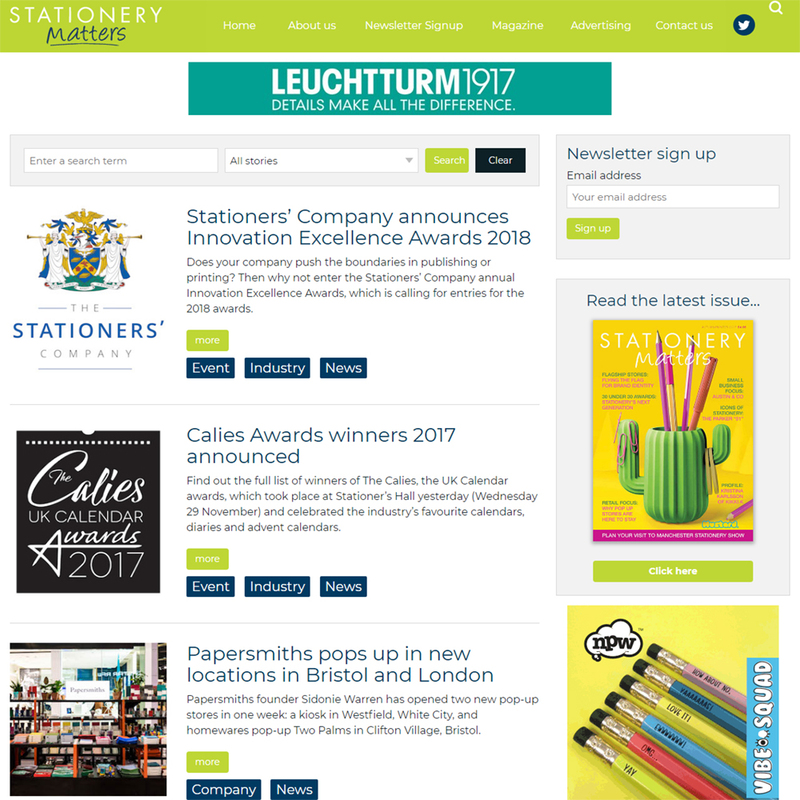 Stationery Matters is broad-based news and information resource for professionals working in the paper and writing instruments industry. The world’s oldest travel trade newspaper is a great example of how to keep your brand current and relevant. 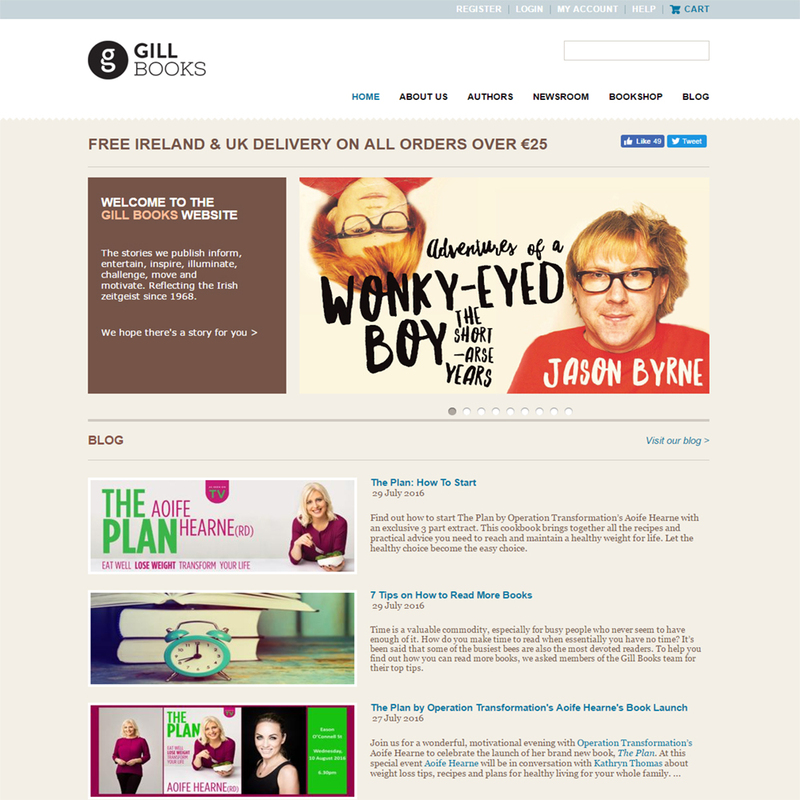 It’s also a great example of an ad-supported business which thrives on Affino’s single-source platform - allowing it to target and connect with 100% of its online audience. 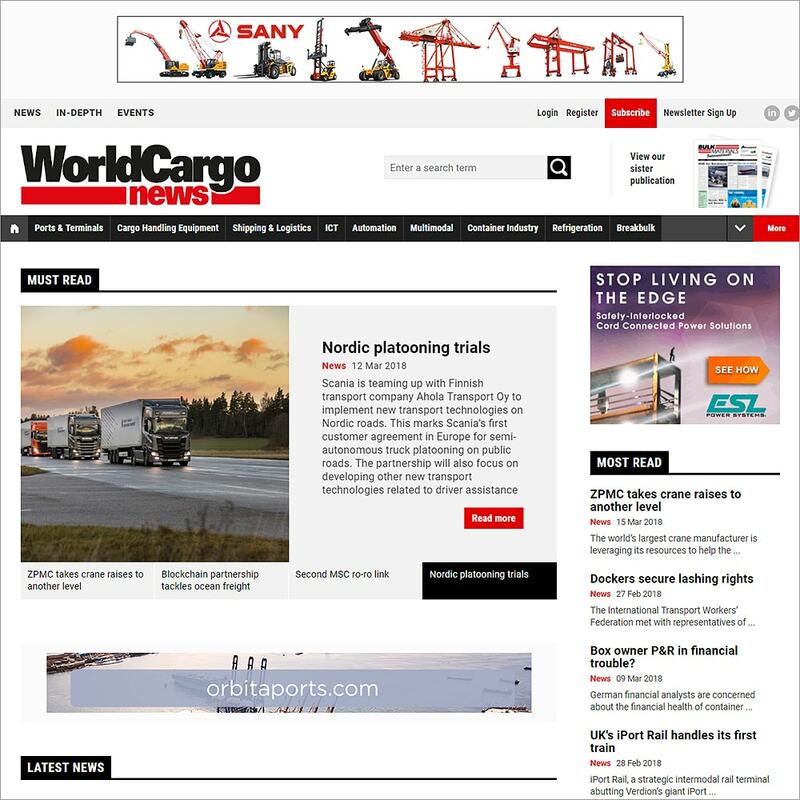 Leading trade journal for the world’s cargo and shipping / freight industry. WCN is another great example of an ad-supported business fully enabled by Affino’s single-source approach. Affino not only enables and boosts the core business model, it gives enhanced and added insight into the active readership and overall audience.